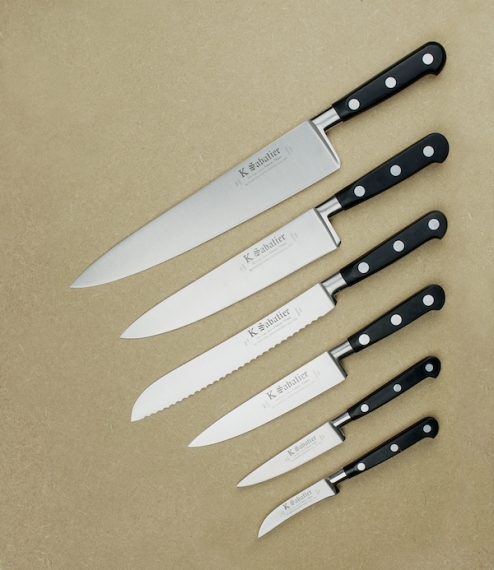 The 'Authentique' is a range of classic black handled French pattern high carbon stainless steel chef's knives. They are still made in the Thiers region of France, fully forged, hand ground, and finished by craftsmen proud of their work and traditions. Being stainless they are suited to a household where not everyone can commit to the care required for the maintenance of carbon steel knives. To learn more about these knives click here. By purchasing this item you are confirming that you are over the age of 18, and that we may contact you prior to dispatch in order to verify this.